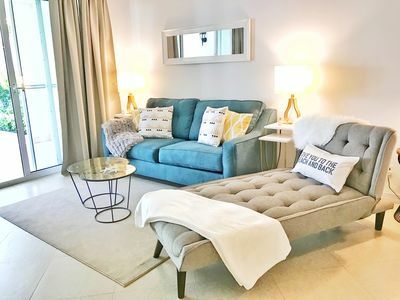 Pamper yourself at Villa Renaissance's luxurious "Villa Bellissimo" penthouse suite boasting vaulted ceilings in the heart of Grace Bay beach. 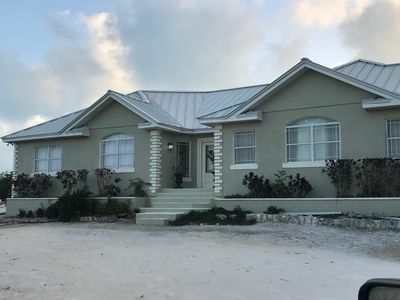 This pristine and comfortable home is located within a short walking distance to the many restaurants and shops of Grace Bay. The supermarket, nightlife, ice cream shops, dive shops, and an abundance of excursions are also right at your doorstep. Bicycles on property are available for all guests to use. You choose whether to have an active vacation or just relax on the beach. Either way, a memorable escape in paradise awaits! The ocean front balcony includes two sitting areas and a dining area, creating a spacious outdoor retreat overlooking the gorgeous turquoise water. 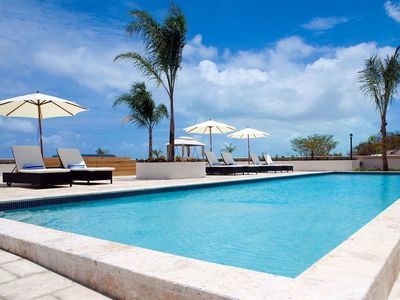 The views of Grace Bay and the resort's spectacular pool and gardens, combined with beautiful furnishings throughout, make this penthouse unit incredibly special. 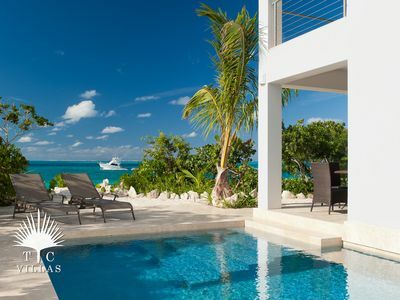 What sets this suite apart is the large outdoor private courtyard which incorporates a personal sunbathing deck, an outdoor shower, and lovely plunge pool/heated Jacuzzi. 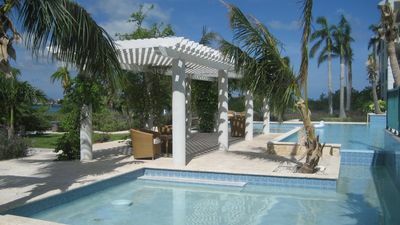 This genuine penthouse, a truly unique and romantic retreat experience, is unlike any other in Turks & Caicos. 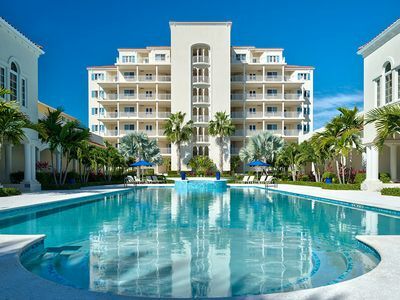 Situated on gorgeous Grace Bay in the 5 Star rated Villa Renaissance, our spacious 2700 square foot ocean front condominium is conveniently situated on the property, just steps from the beach and pool. 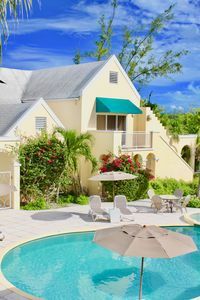 Because we are located in the popular Regent Village area in the heart of Grace Bay; a grocery, over fifteen restaurants, and shopping are all within a short walking distance. There is no need for a car! 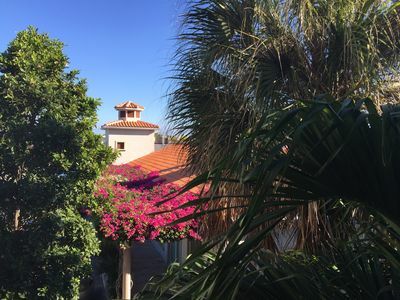 This attractively decorated condo brings all of the comforts and amenities of home to your vacation getaway. Imagine the perfect setting to rest, relax, and restore. 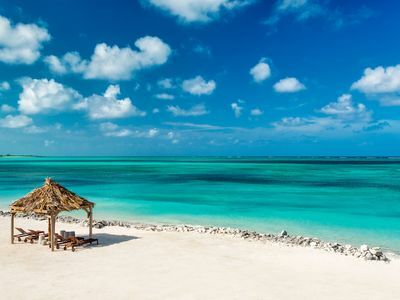 Perfect for a honeymoon, romantic week with vow renewals, or a getaway for two couples, it is one of the most idealistic places in Providenciales. Accessible via a brand new modernistic elevator, the interior boasts vaulted ceilings over the main dining and living areas along with a newly renovated and fully equipped kitchen, granite counter-tops, breakfast bar, stainless steel appliances, full laundry room, powder room and king en-suite bedroom including a multiple spray shower and separate jetted tub. The second bedroom, also with an en-suite bathroom, has 2 twin beds that can easily be converted to a second king bed if that better suits your needs. 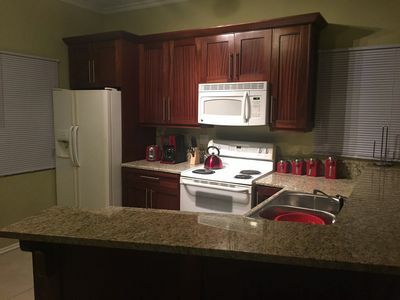 (May be rented as a 1 or 2 bedroom). 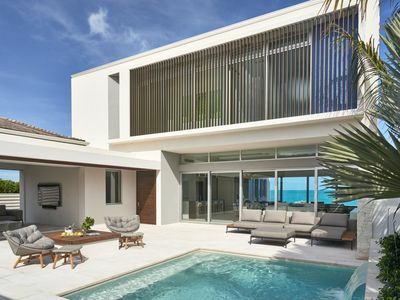 The large beachfront deck provides a choice of seating for finishing that novel or watching the wild dolphins swim by while lunching or dining alfresco. In addition to the pool, resort amenities include beach and pool umbrellas, fitness gym, tennis court and the healing hands of Teona Spa. This is a Non-Smoking suite and is strictly monitored. PERFECT LOCATION! 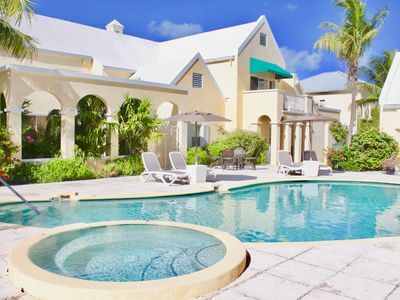 Villa Renaissance is located in the center of Grace Bay, which offers 12 miles of pure white powdery sand and stunning turquoise waters. 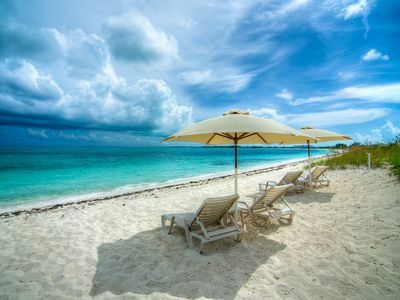 Grace Bay was ranked the #1 Best Beach in the world in 2015, Providenciales the best island vacation in 2015, the Caribbean's Leading Beach Destination at the 2012 World Travel Awards, and has been called The Top Beach Destination in the World. 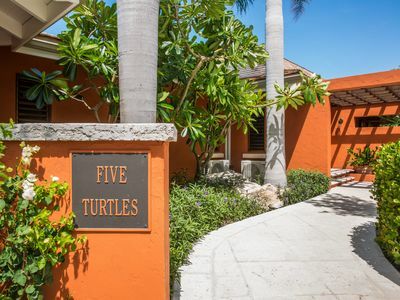 Take long leisurely walks along the sandy shore, snorkel, SCUBA dive, build sandcastles, play in the waves, or just lay back and soak up the sun. This is an idyllic spot to rest, relax, and renew. Want to venture off property to explore? 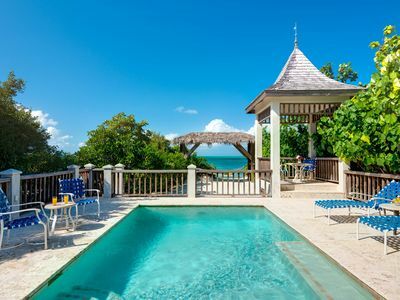 Enjoy endless water activities, take a sunset cruise, a boat excursion to the exotic caves of Middle Caicos, explore snorkeling wonders on protected island reefs, experience the beach on horseback, go parasailing, jet skiing, or try your hand at kite surfing. Remember to keep your eyes open for an unexpected encounter with Jo-Jo, Turks and Caicos most famous, human-friendly dolphin. With so many options, you'll have to come back again to experience it all! 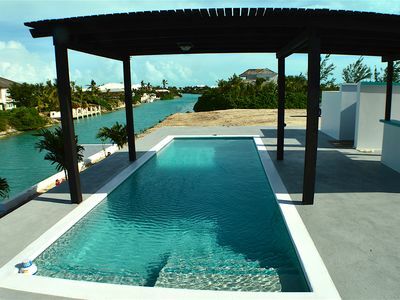 We look forward to assisting you in booking your dream vacation in Turks & Caicos! 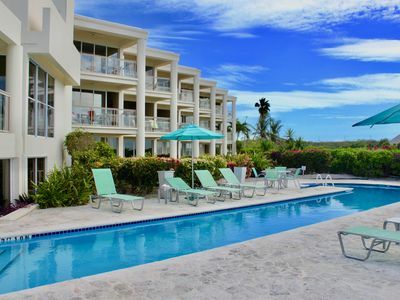 2 BEDROOM 100 steps to GRACE BAY BEACH and SNORKELING!